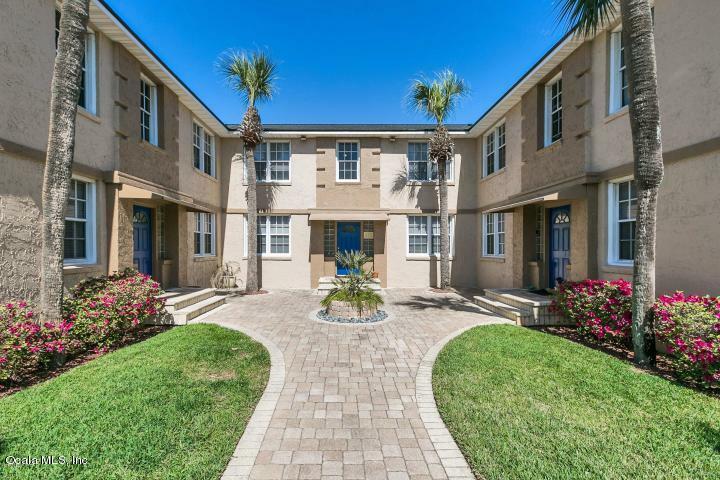 2/1 in the heart of Jacksonville Beach! Condo was been completely updated. Natural hardwood floors in living areas & bedrooms. Ceramic tile floors in kitchen and bathroom. Bright living & dining room. Chefs kitchen with Stainless Steel appliances, plenty of counter space and beautiful cabinets.Front and back entries. Only 2 1/2 blocks to the OCEAN! All common areas of the complex were completely remodeled in 2006. New AC/ New Roof in 2017.INVESTORS:: Minimum rental term is 1 WEEK! Great for investment property! INVESTORS:: Minimum rental is ONE WEEK and long term rental comps $1350.00 a month.